The true traveler wants things that are either necessary or chic -- or both. So check out our guide of 25 fantastic gifts for every traveler on your list. (CNN) — Heads up: The holidays are creeping up, and there’s still no genie to grant you all the best ideas on what to buy as gifts. But when there are travelers on your list, fear not. Since it’s clear that travelers value experiences above nearly all else, get them a gift that upgrades their adventures — by making things easier, more fun or really just upping the epic factor. Travelers who’ve taken a trip where water is involved have found themselves up a creek without a towel, so to speak. Sure, it’s easy to pull over at a little-known swimming hole or to opt for an impromptu skinny dipping session, but it’s usually less easy to find operable facilities with clean, dry towels. And no one wants to feel like a wet dog for long. It’s rare for a towel to create this level of excitement. Enter the Nisolo x Huckberry Travel Derby, the footwear brand’s answer to the foldable ballet flat. Apart from looking good enough to wear out for aperitivo in Milan and cool enough to wear dancing on cobblestone streets in Cuba, the derby weighs less than 1 pound (three times lighter than the average shoe, according to Nisolo) because it’s made with an XL Extralight sole. When it comes to global converters, Flight 001’s 5-in-1 Universal Travel Adapter easily outdoes the others. There’s no trial and error when testing which plug is the right one or struggling when a flick of the switch doesn’t release the right prongs on push-to-change chargers. No, this is a “For Dummies” global adapter in the best way possible. 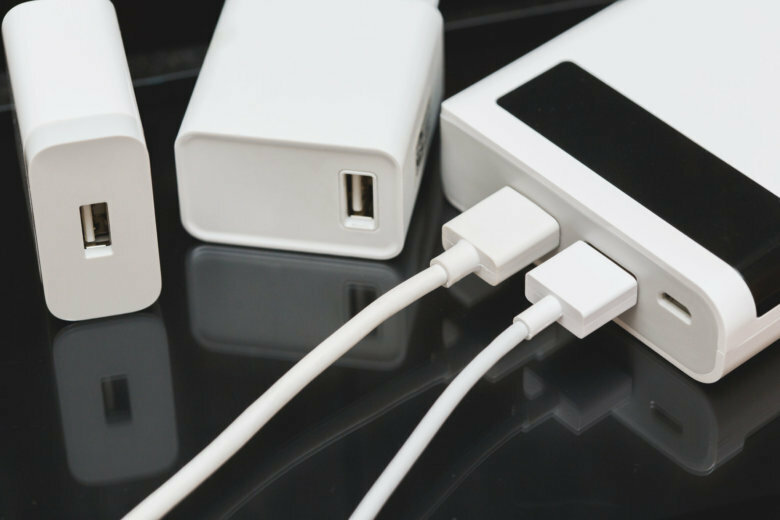 An upgrade from the first four-piece iteration, the five-piece adds two USB ports, meaning two things can be charged at once so travelers aren’t left deciding whose device is more deserving of the juice. Dealing with a traveler who’s dead set on minimizing stuff? Give them an opportunity to eat on your dime instead. It’s the kind of gift that would literally be worth writing home about. Also the kind that might invite envious salivation. It’s not like travelers try to look haggard post-flight, but the overwhelming majority fall victim anyway. That’s because the recirculated plane air’s main function (besides providing oxygen, of course) seems to be to sap skin’s precious moisture. And it’s that general dehydration that serves up the haven’t-slept-in-days look. The beauty brand’s award-winning Superfood Facial Oil is made of highly concentrated plant-based superfoods that hydrate and nourish to give skin a glow. Sometimes a carry-on isn’t quite enough for a big trip, but when checked bag fees start climbing into the $100 range, it sort of has to be enough. The suitcase can still pass the “Does your carry-on fit in here?” test for major international airlines, though smaller planes may require checking it. What’s more, with a USB charging port and a removable battery pack, the carry-on eliminates grumbling when all charging stations are mobbed, without introducing cause for any additional tie-ups during TSA checks because of said battery pack. Mejuri has easily rendered the infuriating experience outmoded with its Travel Case. Made by the jewelry brand and its enlisted experts in jewelry case making (a pretty good pairing, we’d say), the thoughtful jewelry holder has separate sections for necklaces, designated holes to secure earrings and a row for holding rings. It’s handcrafted in grain leather with an anti-tarnish suede lining and spans just 4 x 4 x 1.4 inches once closed, making it easy to tuck into anything. Bonus? There’s still ample space for collecting any new jewels along the way. But if they haven’t yet gotten hip to the personalized luggage tag game, bring them over to the sophisticated side with a monogrammed bag tag from The Daily Edited. Made from 100% nappa leather and gold hardware, the tag instantly ups the traveler’s stylish factor, and the free monogramming for up to five letters makes for an added bonus. The tag comes in black, pale pink, taupe and ink navy, with a secured place to store address info. That’s why the Smithsonian’s just-released “History of the World Map by Map” makes a prime gift for adventurers interested in how the world became the world. Telling the story the way a cartographer would, the book charts how major global events and explorations traced patterns on land and oceans, and outlines how discoveries and conquests — from the first human migrations to communism — yielded the world now traveled. Music often makes a moment, and being on the road shouldn’t eliminate the option for tunes. Ensuring those tunes are heard as intended, Bose’s SoundLink Micro Bluetooth speaker packs a punch with its palm-sized self, and proves camping, beaching and wandering are all perfectly good opportunities to kick up the good vibes with music. It’s waterproof and comes with a tear-resistant silicone strap, so it can easily go where the traveler does. Let’s face it — anything that can become a game is usually more fun. And now, thanks to Lingo, playing cards can also mean learning to say “la cuenta, por favor” in Spanish. Travelers guarding their hand will also be practicing how to say “enchanté” to the cutie they plan to meet in Paris. Second to unwrapping a trip itself in a nicely packaged box with a bow, the ability to keep their multiple devices powered up might just be travelers’ next greatest gift. This tiny device saver from Anker taps PowerIQ high-speed charging technology to allow for two quick phone charges on the go. At little more than 4 inches long, the PowerCore 5000 is easy to transport and promises to come through on all-day excursions when electricity isn’t readily available. As long as adventurers in possession of this compact portable charger can remember to charge it up before heading out, they’ll be in business. Here’s one for the outdoor enthusiasts out there. Pocket-sized when folded into its compact carry case, the Sea to Sky Pack opens out to 20 x 11 inches and has a capacity of 24 liters. Empty, the pack weighs just 5.5 ounces — about the same as a baseball — making it easy to roam with and not feel weighed down. Anything touted as “for the dope” is probably worth giving. Travelers can “wear their music” the way will.i.am would. But the carry-on size bag doesn’t stop there. It has a removable laundry bag that can be hung on a door handle during the trip and repacked separately from unworn duds, a waterproof bottle pocket to eliminate the effects of spills, an RFID safe pocket and power cord management slots. They’re calling it “the most functional travel bag ever,” and it’s hard to argue. Huddling around a tiny smartphone screen to watch something when you’re on the go is so passé. It’s all about projectors now. And Anker’s soda-can sized Nebula Capsule puts a full cinematic experience in the palm of travelers’ hands. The device projects vivid picture onto surfaces up to 100 inches away for up to four hours on a single charge. The Capsule Control app allows for control directly from the phone, and the Nebula’s cylindrical shape means an omnidirectional speaker for super sound. If National Geographic cosigns a smartphone lens, it’s likely one worth scoping out. On NatGeo’s radar for best smartphone lenses, Moment’s Wide Lens has elevated the experience of capturing travel moments without the clunk of a DSLR. The lens add-on made from cinema quality glass allows smartphones to capture 2x more picture — more of the scene and more people for photos that deliver more when it comes to quality and clarity. The lens works with Moment’s Photo Case for the phone, which maintains alignment with minimal fuss. There’s also space on the case to add a wrist strap, which makes for easy wear between shots. Ill-designed toiletry bags don’t do anyone any good, so get the traveler on your list a kit with all the fixings. This unisex one from L.L. Bean in khaki waxed canvas almost looks too nice for storing toiletries, but the nylon interior assures spills won’t spoil the bag. The bag hangs for easy towel rack storage, too, and there’s a removable mirror and shower caddy to further up the kit’s convenience. Travel may be about disconnecting, but the wanderer should at least be able to reconnect when ready. That’s where Skyroam Solis comes in. The portable WiFi and power charging device for international travel offers internet access nearly anywhere in more than 130 countries. Once on, the hotspot automatically finds the best local signal, and its virtual SIM tech means users don’t have to change their own SIM cards to connect in other countries. Day passes for $9 allow the traveler unlimited data for up to five devices and the ability to connect at their leisure, skipping days when they know they won’t need it. Goodbye dodgy internet cafés and too-high fees for shoddy connections that can’t even facilitate FaceTime. There’s something to be said about arriving at a destination with ankles the same size as they were before takeoff. For some people, long flights are synonymous with swelling, and the compression socks usually reserved for combating that problem aren’t always of the most attractive ilk. But VIM & VIGR has changed all that. The company’s compression socks come in stylish stripe patterns or argyle and could easily be mistaken for a designer sock from traditional brands. The socks apply therapeutic pressure that starts at the ankle to improve circulation, which can also help stave off fatigue. This may look like a standard carry-on, but it’s actually the traveler’s new and chic best friend. Paravel’s Stowaway, a throwback to vintage grips but with more modern materials, conveniently accommodates the traveler who loves to shop. The classic collapsible case can be stored flat and packed into another bag, and then, when the marketplace haul needs a home, unfold it, slide the solid sides into place and fill it with loot. It’s also helpful to grab and go for mini excursions within bigger trips instead of dragging everything along. Cotton canvas keeps the Italian-made Stowaway light and easy to clean, and the leather trimmings keep it luxe and easy to love. Personalize the piece with the traveler’s initials or a kissy-face emoji to keep things fun. It may look like a cozy scarf, but it’s actually what might be the most ingenious travel pillow that’s yet been made. Plus, the pillow is smaller than the average travel pillow, so it packs small. And it doesn’t require inflating either. The first clue that YoFoMat is not your normal yoga mat: It’s meant to fold. The folding lines aren’t arbitrary either — they’re placed to help with proper alignment. When folded, it also doubles as an ideal meditation mat. Scorpion pose in the Sahara? Lotus in Lagos? There’ll be no FOMO with YoFoMat. Weekend bags are standard gear for the jet-setting life, but there’s not much standard about this garment bag/duffel bag combo from Hook & Albert. It’s like a mic drop for travel bags.